Taylor Wimpey East London has carefully redeveloped the former Administrative Headquarters Complex for Colchester Garrison Artillery Barracks, to offer a prestigious collection of unique homes, known as Arena Place. 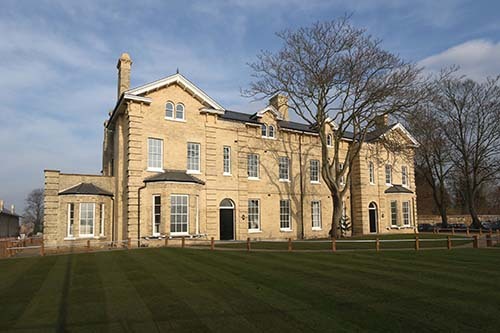 Arena Place has breathed new life into this historic site, with Taylor Wimpey faithfully maintaining and enhancing the original architectural features of the existing military buildings, while constructing a series of contemporary newbuild properties which encompass the traditional character. Formerly the officers’ quarters at Colchester Garrison Artillery Barracks, Block A at Arena Place is a beautiful Italianate building, which dates back to the Victorian period. The roofline bears striking resemblance to those found dotted around picturesque Lake Como in northern Italy, comprising stone detail at third-floor level with overhanging eaves. As a locally-listed building, the exterior is considered a heritage asset in Colchester and, therefore, any changes were required to be replaced like for like.